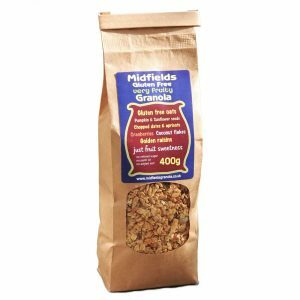 A Great Taste Award winner – this is a delicious cereal is baked in a natural fruit syrup from grapes, apples and carob. 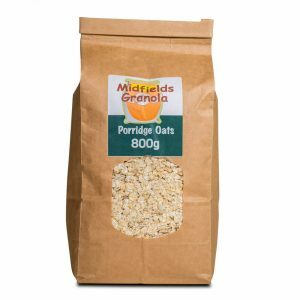 Contains 25% less calories than sugar. 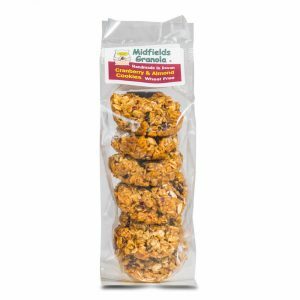 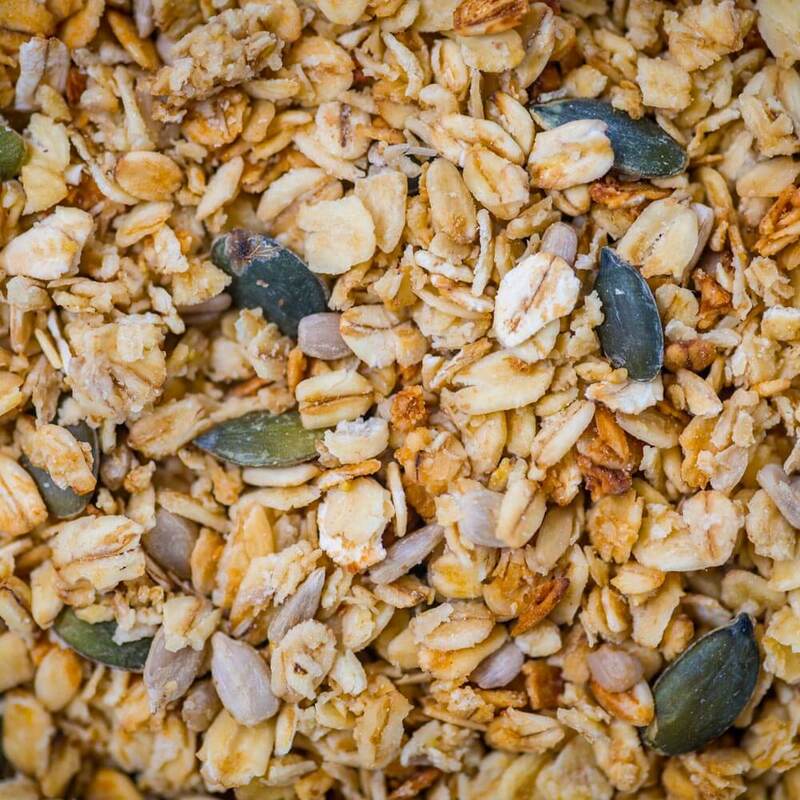 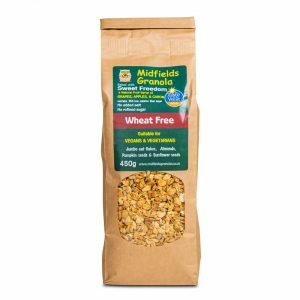 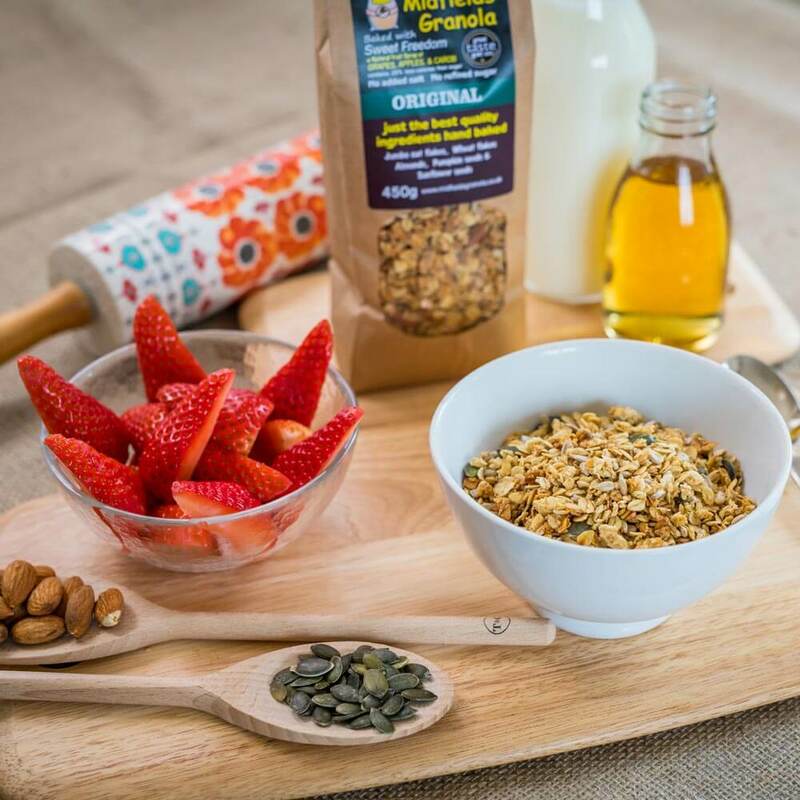 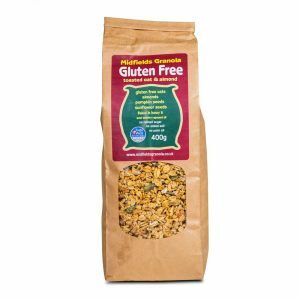 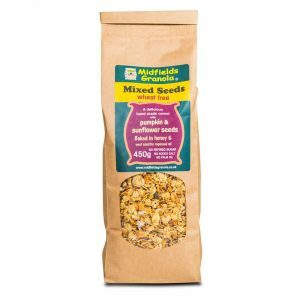 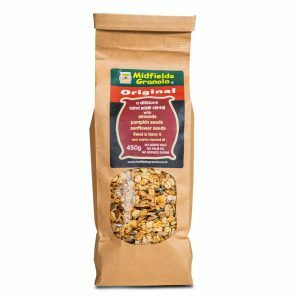 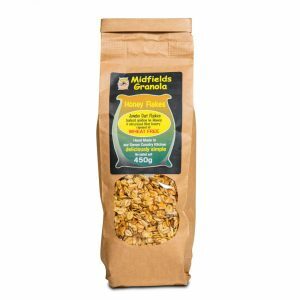 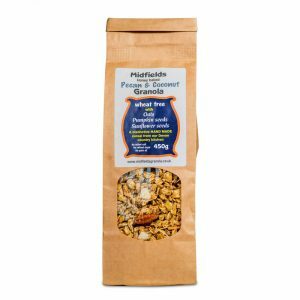 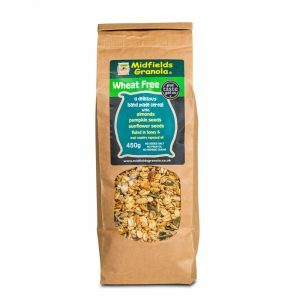 Made with a base of slow release energy giving Scottish jumbo oat flakes, wheat flakes, chopped almonds pumpkin and sunflower seeds. 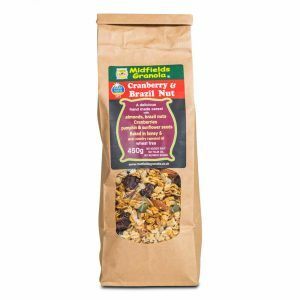 Some diabetics find this product can be included in their diet, plus calorie counters can enjoy this product. 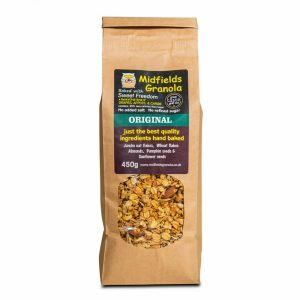 Suitable for vegans and vegetarians.